ðŸ‘£ to the beach. 4+ Bedrooms. 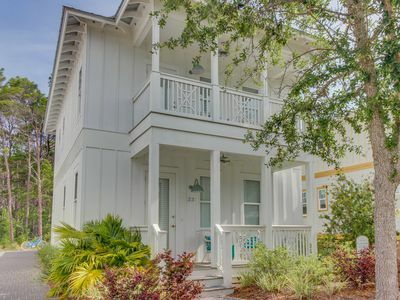 Perfect family getaway on 30A! Calling all mermaids and seafarersâ€¦.shoppers and land lovers! 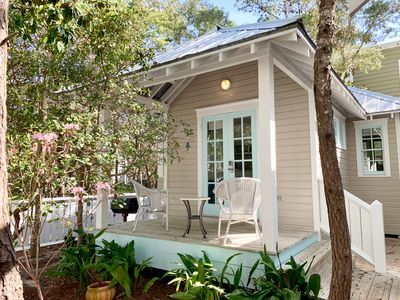 Find your perfect beach retreat at Beyond the Sea in the adorable Old Florida Village community in Santa Rosa Beach, FL. 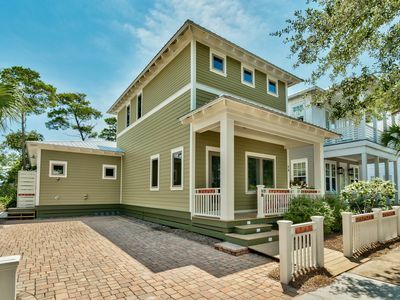 Located a short walk to the beach, a stoneâ€™s throw from the pool, and a half a block away from bicycle paths that connect all of the charming beach communities along 30-A. Come for a visit and create wonderful vacation memories. OUR HOME HAS BEEN RECENTLY UPDATED WITH ALL NEW APPLIANCES AND A FRESH COAT OF PAINT ON THE FIRST FLOOR. WE HAVE ALSO ADDED A GAS FIRE TABLE AND OUTDOOR LIGHTING OUT BACK! 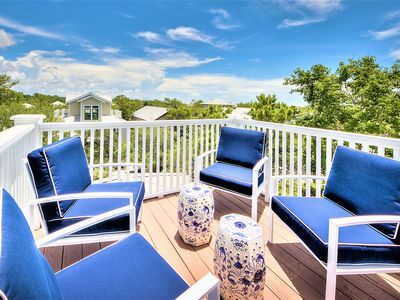 Beyond the Sea is a quintessential beach house. From the moment you arrive, you will be greeted with style and comfort. 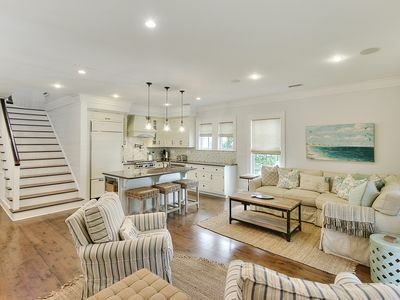 Open the doors and breathe in the ocean vibeâ€¦from your first step in the door, the light airy decor and special touches make this truly a great home away from home. 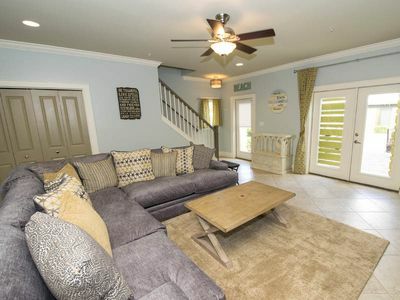 There is plenty of space in our 4 bedroom 3 bath home for your family to spread out and relax. 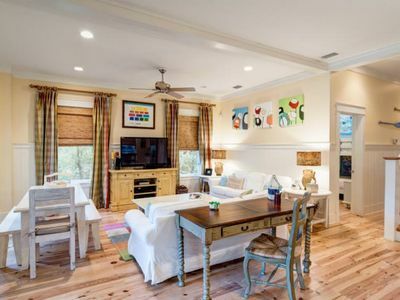 The main level has an open floor plan with a comfy living area, well stocked kitchen, and a casual dining table. The main level also has a bright bedroom with an iron queen size bed and a bathroom with a semi-circular shower directly across. Follow the pine staircase to the second floor and you will find three additional bedrooms: The master bedroom includes a queen bed with luxury bedding, an en-suite bathroom with double shower heads, and private access to the second level deck where you can enjoy your morning coffee before heading off to the beach. One guest bedroom greets you with warm cheerful colors and a comfy queen bed. The other guest bedroom on this floor is coastal-calm and is furnished with two twin beds. There is a shared bathroom for these rooms. On the third level you will discover the tower room which is perfect for kids to play or teens to relax. Decorated in bright colors, this room will put a smile on your face and will keep your children entertained when returning from a long day in the sunshine. It has a bunk bed with a trundle, a tv, a PS3 and plenty of toys and games to keep kids of all ages happy. Not all the enjoyable moments happen inside! Spend mornings with a book rocking on our quiet front porch. In the evenings, sit around the propane fire pit on the back patio. 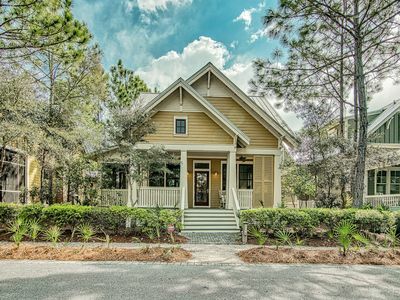 Old Florida Village is a charming neighborhood with winding streets lined with 'seaside-cottage-style' homes, lush landscaping and a family atmosphere. 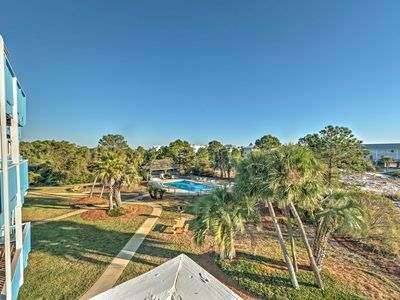 Beyond the Sea is one of closest homes to the beach (less than 500 yards) and is three homes away from one of two neighborhood pools. 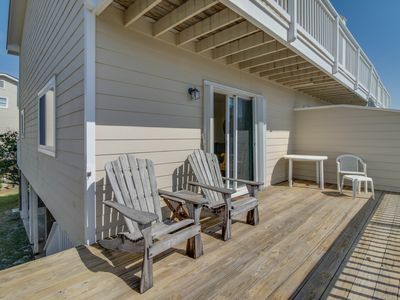 Our home has a convenient outdoor shower to rinse away the sand from an enjoyable day of playing in the crystal clear water and basking on the white sand beach. 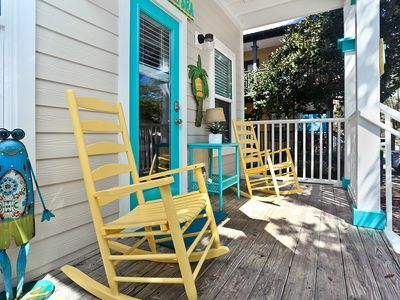 Hang your beach towels and store sandy shoes on the inviting side porch. So whatâ€™s there to do around here besides the beach and pool? Everything!! The shopper in you will appreciate the huge outlet mall as well as the upscale boutiques, quaint gift shops, big souvenir emporiums and art galleries galore. Kids going stir crazy? Mini-golf, movie theaters, water parks, and pirate cruises just to name a few are all less than 20 minutes away. 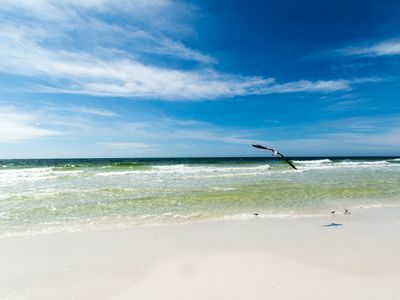 One of our favorite things to do is take advantage of the miles of wide scenic trails along 30-A. Itâ€™s a great place to walk, run or go cycling as a family. We love that with our family of six, even our smallest one can enjoy a safe scenic ride. Stop at one of the locally owned coffee or ice cream shops and stroll through the charming towns you will pass along the way. 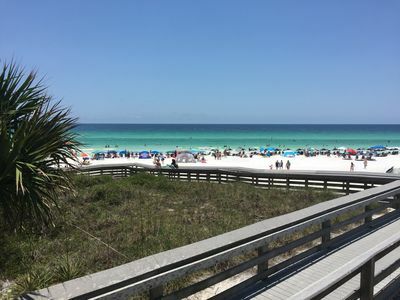 Santa Rosa Beach is home to two state parks, coastal dune lakes and protected dunes. 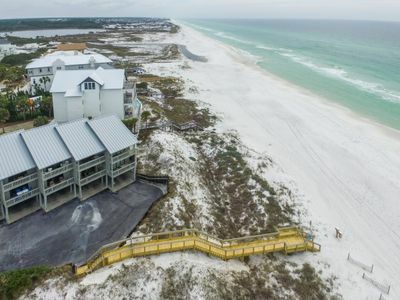 Itâ€™s the perfect place for fishing, kayaking, paddle boarding, or bird watching. For the golfers, beautiful Santa Rosa Golf Club is just two miles away along with many other award winning courses nearby. After a fun filled day, grab dinner at one of the many fabulous restaurants within walking distance or just a short drive down the scenic coastal highway. Tired of being on the go while on vacation? Stay in and relax, grill out for dinner, and enjoy a family movie night from our DVD library or play one of the many games available for your enjoyment. We know you will enjoy our home as much as we do and we look forward to you coming back year after year! Any questions? Just send an email or give us a call! 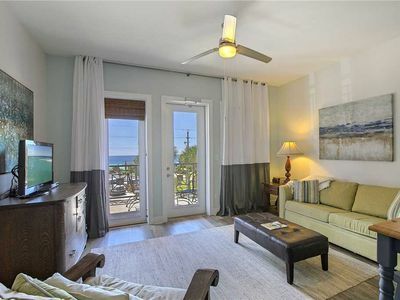 Modern Studio w/ Ocean Views & Heated Pool! 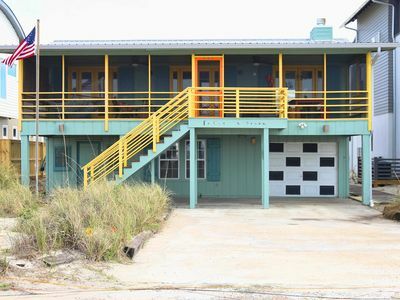 Cozy seaside condo w/ shared pool & central beach location - snowbirds welcome! 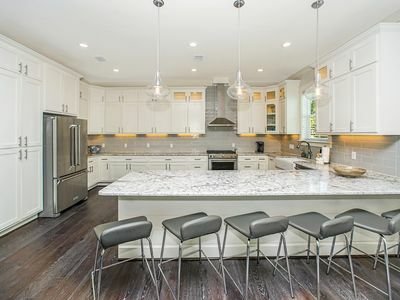 'TIDE TOGETHER' a gorgeous newly renovated 3 bedroom home with 2 pools! 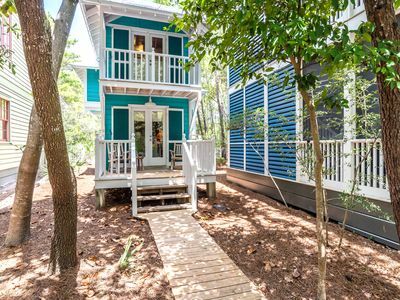 Luxurious Retreat Steps to Scenic Hwy 30A! Pool/Beach Access! BOOKING SUMMER! 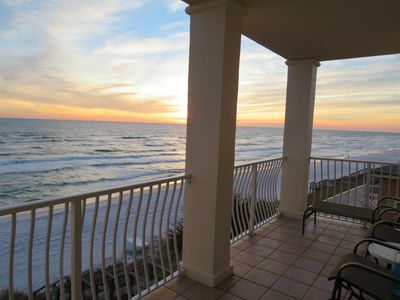 Phenomenal Gulf Views! 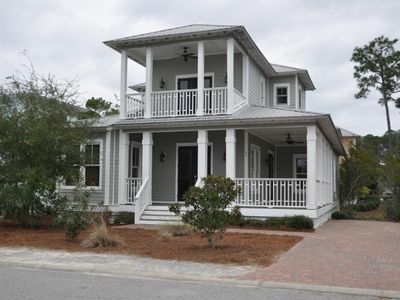 Old-Florida Style Beach House in Miramar Beach! 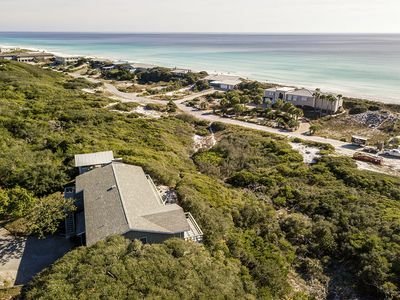 30A - Cottage, 1/2 m to the beach. Comm pool across street.